Stained glass supplies are increasingly expensive and difficult to get hold of. Although the internet is wonderful for buying most things, it is difficult to buy glass without seeing it. Here we identify some of the specialist suppliers who are so important to keeping us all in business. Below are the areas we cover. This directory is updated periodically; however, we rely on information from the suppliers concerned to keep their contact details current. If you have a supplier you would recommend, or you are a supplier and would like to be included or have an update to your details, please contact the Secretary. Abrasive belts and discs, diamond impregnated pads and files, wheels, grinders. Hydrofluoric acid & other chemicals, solvents, etc. Large and small (500 ml) sizes of 40, 48 and 60 per cent hydrofluoric acid (sent overnight). Hydrofluoric acid and other chemicals, solvents, etc. Laminates and adhesives, UV glue, silicon. Resins for decorative glass panels, glass bevels. High-performance adhesives, coatings and sealants, including the Vitralit range of UV and visible-light-curing adhesives designed for glass bonding and used by many leading glass companies. UV adhesives for glass bonding. Dealers in antique stained glass panels from the Middle Ages to the 18th century. Brushes, paint, gold and metal leaf, tools. Colours, brushes, gums, oils and other materials. Bevelling, drilling and grinding equipment. Visit their shop in Bristol or buy online. Stained glass, mosaic, fusing and flameworking books, patterns and kits. Online sales. A range of books on painting, design, fusing and casting. Supply list and mail order service available. Online sales. Books on painting, fusing and design. Books on painting, printing, kilnforming, fusing and design. Brilliant cut and bevelled glass. Etched, brilliant cut and frosted glass. Etched, brilliant cut and gilded glass. All kinds of specialist brushes for glass painting. Stock of specialist brushes including badger brushes. Tracing, stippler and badger brushes. Supply list and mail order service available. Online sales. 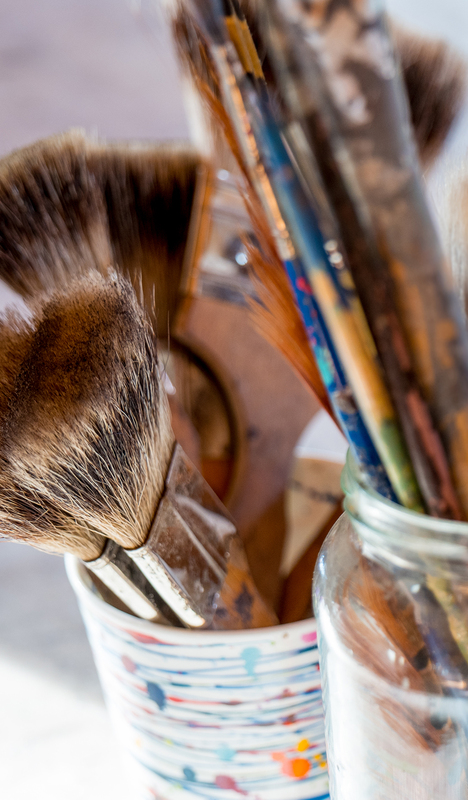 A range of artists’ brushes including badgers, and various bench brushes. Supply list and mail order service available. Online sales. A line of specialist brushes for glass painting. H G Rant manufactures products for all types of scrubbing, polishing and painting work. Specials available too. Fluxes, patinas, polishes and etching materials. Supply list and mail order service available. Online sales. 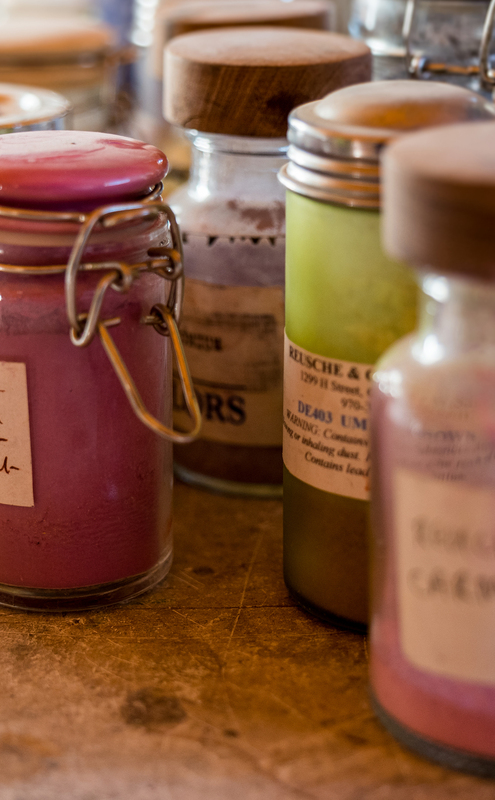 A range of fluxes, patinas, polishes and etching materials. Supply list and mail order service available. Online sales. Acids, including large and small (500 ml) sizes of 40, 48 and 60% hydrofluoric acid, solvents and other chemicals (sent overnight). Protective equipment, gloves, respirators, containers, etc. Laboratory equipment. Hydrovane rotary compressors, MEK, Propack and Silpack 2-stage and 1-stage compressors, and other models. Bambi studio air compressors and accessories. A large range of compressors. Online sellers of compressors and accessories. A comprehensive range of conservation materials and equipment, including cleaning equipment, dust extractors, lightboxes. A comprehensive range of conservation materials and equipment. The largest independent manufacturer of blast finishing, spray wash and ultrasonic cleaning equipment in Europe. Materials and equipment for conservation including archival materials. Over 5500 products, many exclusive to PEL, featured in full colour catalogue. Stand alone units and small systems providing purified water for clinical and laboratory applications and large plants. Everything for electric drill and hand engraving of glass. Electric drills, diamond, tungsten and silicon burs, rubber abrasives, polishing equipment; fibreglass pencils. Online sales of etching equipment. Etching spray, fluid and cream; electric engraving tools. Supply list and mail order service available. Online sales. Glass engravers and cutters. Online and postal sales available. A range of patterns, resist and etching paste. Supply list and mail order service available. Online sales. Fusing-compatible glass, frit and accessories. Fusing kilns, glass and materials. Visit their shop in Bristol or buy online. A wide range of fusing glass supplies, materials, tools and accessories, as well as technical advice and support. Compatible glasses, fibre papers and boards, enamels, frits and more! Experienced fusers providing helpful service. Fusing and flameworking products, tools and equipment, as well as books, patterns and kits. Online sales. Raw materials, glass nuggets, tools, safety wear, UK agents for Kugler-Colors. Manufacturers of pre-heating ovens, fusing materials and colours – glass sticks, rods, grits, pellets and powders. Tools, materials and books. Supply list and mail order service available. Online sales. A range of fusing tools, accessories, materials and books. Supply list and mail order service available. Online sales. All stained glass supplies sold including mouth-blown glass. Phone for mail-orders. Closed Mondays. Uroboros fusing supplies and books on fusing. Online art glass supplies, kilns and accessories for fusing. Large range of bevels, clusters and nuggets. Supply list and mail order service available. Online sales. Large range of bevels, jewels, globs, roundels and bullions. Supply list and mail order service available. Online sales. Stained glass cutters and other tools. Visit their shop in Bristol or buy online. Toyo, Silberschnitt, Fletcher, also strip and circle cutters. Large range of cutters, grinders and other tools. Supply list and mail order service available. Online sales. Glass engravers and cutters. Online sales. Glass cutters, grinders and other tools. A wide range of art glass machinery and accessories, as well as technical advice and support. Equipment hire. A wide range of art glass machinery and tools, including bevelling, drilling and grinding equipment. Glastar bevelling, grinding and sandblasting machinery, also kilns and electric glass engraving pens, etc. Range of cutters, grinders. Supply list and mail order service available. Online sales. A selection of grinders and glass cutters. Grinders, accessories and other tools. Stained glass paint maker, grisailles (21 colours), silver stains (S colours), Jean Cousin carnation. Sample sets of grisailles and silver stains available. Orders 100 g to 1 kg. Johnson Mathey stains and ATC kiln-fired paints. Supply list and mail order service available. Online sales. Clifford Oster is dedicated to research and a premium manufacturer of silver stains. Provides custom blends for restoration. Firing and non-firing paints, Reusche and Oster stains. Reusche opaque and transparent paints, stains, enamels and lustres, Oster stains, hot glass colours, and media. Tracing paint, vitreous enamels, Oster and Reusche stains. ‘Barley Bent’ historic plain glazing glass, UV-filtering glass. US manufacturer of coloured glass for art and architecture specialising in coloured glass tested for fusing compatibility. Online shop. A range of glass including English Antique and fusing glass. Online shop. Stained glass, fusing, beadmaking and metal clay supplies, including related tools and machinery as well as short workshops. Art glass, tools, accessories, books and media. Stained glass, mosaic, fusing and flameworking products. Online sales. The only producers of handmade English Antique style glass in the UK. Glass sheets made to order. Suppliers of raw materials for glass makers. UK agents for Kugler-Colors. Antique, machine rolled cathedrals, opalescents, art glass and fusing glasses: Tatra, Spectrum, Wishmach, Bullseye, St Just, etc. Manufacturers of coloured glass sticks, rods and pellets for fusing. Mouth-blown, restoration and particularly flashed glass. A large range of antique and rolled glasses, including English Antique. Supply list and mail order service available. Online sales. Glass for period windows with a range of blown and drawn glass. Lamberts, St Just, Desag and cathedral glasses from Europe and America. Antique, Restoration, machine-drawn, cathedral, opalescent, streaky, rolled, iridescent, flashed, fusing, Victorian patterned, etched, enamelled, roundels all stocked. Also Schott glass. St Just glass, kilns, tools and brushes, pre-glazed lead, putties, glues, media, books and videos. Specialist glass products for studio glass and bead making, including soda glass rods, powders and chips. SCHOTT is a world leader in glass manufacturing, producing a vast range of special glass products. Architectural glass including fire-resistant glass. Etched, brilliant-cut and gilded glass. A large range of types and colours of glass. Antique glass, primarily Polish and English mouthblown, roundels and bullions. Spectrum, Kokomo and Uroboros; mail order and online ordering available. Specialises in mail order art glass and supplies for fusing, including Bullseye glass and frit, as well as for architectural glass work. Warm-glass.com also keeps the largest stock of dichroic glass in Europe. A wide range of art glass supplies, kilns, tools and accessories, as well as technical advice and support. Stained glass, mosaic, fusing and flameworking products, tools and equipment, as well as books, patterns and kits. Online sales. Online sales of glass tools and books, etching equipment. A large range of tools, materials and information from the London warehouse. Supply list and mail order service available. Online sales. A large range of tools, materials and information. Supply list and mail order service available. Online sales. A large range of types and colours of glass, also a selection of grinders, glass cutters and books. A wide range of supplies; mail order and online ordering available. Fusing kilns. Visit their shop in Bristol or buy online. Paragon, Vitrigraph, Laser and BVD glass kilns and accessories, as well as technical advice and support. Manufacturers of kilns for glass painting, fusing and slumping. Fast and efficient Paragon electric kilns for painting, fusing and slumping glass and kiln accessories. Demonstration model available. An extensive range of electric glass kilns, manufactured in the UK. Standard sizes or manufactured to your specification. Spares, repairs and advice. Also cold working tools and equipment. Flat-bed kilns, top-loading kilns and front-loading kilns. Manufacturers of pre-heating ovens for overlay glass production. 13 amp ‘plug-in’ Provetro Kiln Ranger. Demonstration models at Liverpool. Kilns and NDG curing stations. A wide range of kilns and control equipment for glass painting, fusing, slumping, casting and annealing. Paragon kilns and accessories; mail order and online ordering available. Paragon, Skutt, Nabertherm and Kilncare kilns and accessories. Glass and tools for lamp working. Visit their shop in Bristol or buy online. A large range of lamp bases and accessories for making lamps, including brass channel, lamp moulds and lamp fittings. A large range of lamp and terrarium fittings, including lamp bases, vase caps, harps, brass channel, lamp moulds, copper tape. Supply list and mail order service available. Online sales. A large range of lamp fittings, including lamp bases, vase caps, harps, brass channel, lamp moulds; also copper tape, pattern books. Supply list and mail order service available. Online sales. Lamp bases, moulds, accessories and other aids; mail order and online ordering available. Lead products including lead came, wire, tape, sheet, solder, fluxes. Jansen and Buscher lead, including brass coated. Mixed cases / 25 kg available. Quantity discounts. Lead cames by Heaps, Arnold & Heaps Ltd, reinforcing bars, copper tie wire. Supply list and mail order service available. Online sales. Approved UK and Ireland distributor of Stillemans lead came profiles. Mail order retail trade and wholesale. [British] lead came manufactured by Heaps, Arnold and Heaps. Standard and special sections, including lead feeder bar. Lead came, copper foil, steel bars. Lead came, cement, whiting, tallow; online ordering available. Lead came, cement, whiting, tallow; mail order and online ordering available. Phoenix leaded light cement, a ready to use durable cement with a proven track record. Range of bucket sizes available. Cement, whiting and lead brushes. Supply list and mail order service available. Online sales. A range of materials, tools and accessories. Visit their shop in Bristol or buy online. A range of materials and accessories, especially for fusing, casting and beadmaking. Glass paints, glass tools and sundries. Flux, tallow, patinas, lead light cement, paints and silver stain, copper foil, pencil bevels and clusters, solder, lamp bases and fan bases, lamp fittings, books. Supply list and mail order service available. Online sales. Flux, tallow, patinas, lead light cement, paints and silver stain, copper foil, pencil bevels and clusters, solder, lamp bases and fan bases, lamp fittings, books. Flux, tallow, patinas, lead light cement, paints and silver stain, copper foil, solder, books. A wide range of materials including lead came, cement, whiting, tallow, copper foil, lamp working aids, books; mail order and online ordering available. Bronzed bars and stainless steel guards and casements. Full manufacture and restoration service on ferrous and non-ferrous casements, ferramenta and isothermal glazing frames. Quotations free. Wire guards, black stainless steel frames, polycarbonate guards; supply and installation. Stainless steel window guards, powder coated matt black, repair existing ferramenta and casements, and facsimiles in wrought iron or stainless steel. Supply tie bars, ferramenta, window guards and frames, and repair existing ones. Mosaic tools and materials. Visit their shop in Bristol or buy online. Mosaic tools and equipment, as well as books, patterns and kits. Online sales. Mosaic materials, kits and tools. Mosaic and related goods are available from the London shops with both retail and bulk quantities and prices. Also sells mosaic equipment/materials online and by mail order. Mosaic moulds for stepping stones and table tops – quick drying ‘Diamondcrete’ cement in many colours. Books and instruction manuals. Mosaic moulds and materials; mail order and online ordering available. A complete set of photographs of every panel in the 22 early-13th-century stained glass windows from the ambulatory of this French cathedral. Stained glass in the cathedral image archive. This website by Robert Eberhard gives access to a database of over 30,000 records of stained glass windows in 5000+ churches in the South and East of England. The record is of Victorian and later stained glass church windows, and their makers and designers. The database may also be searched by County, Firm, Designer and other means. An archive of photographs and information on the stained glass of medieval (and other) periods in England. It is one of many special collections in the National Monuments Record. There are 10 000 photographs of medieval stained glass windows on the cvma.ac.uk website. Glasgow Museums has a collection of approximately 500 glass windows and panels, plus 4000 designs and full-sized cartoons on paper. It dates broadly from 1850 to 1939. This collection spans both the sacred and the secular – and reflects the revival and popularity of leaded glass design and manufacture in late 19th and early 20th century Glasgow; it also has a few examples of late 20th century Scottish stained glass. Workshops and designers represented include Daniel Cottier, Guthrie & Wells, George Walton & Co., Stephen Adam, Hugh McCulloch & Co., William Meikle & Co., JT & CE Stewart and JP McPhie & Co.
Russian museum with an important collection of medieval stained glass and mosaics, some of which can now be viewed online. Over 2300 high resolution images of decorative works of art, including stained glass, which can be viewed free of charge on LACMA’s website. Norfolk is home to a vast array of stained glass, ranging from works of art made by medieval craftsman through to beautiful windows produced in the modern era. Medieval and Renaissance stained glass listed by place, subject and gazetteer and the Bible in stained glass. This website has information and photos of windows in churches and chapels within the historic boundaries of Buckinghamshire. A searchable catalogue of Welsh stained glass windows from the 14th century to the present, with over 5000 photographs. Stained glass panels, designs and cartoons in the V&A collection and archives. Polishers, discs, wheels and polish. Polishing wheels, powders, hand pads. Polishing/grinfing wheels, hand pads and files. Grinders, hand pads, polishing powder. A range of thickness 3-12 mm, will provide cut to size panels. They also have a range of fixings. Manufacturers of a wide range of putties with a proven track record, available in different bucket sizes. Putty and lead light cement. Supply list and mail order service available. Online sales. Roundels, cast glass pyramids, brilliant cut squares, nuggets, bevels and clusters. Supply list and mail order service available. Online sales. Roundels, jewels, lenses, brilliant cut squares, bullions, bevels and roundels. Supply list and mail order service available. Online sales. Large range of roundels and bullions. Roundels, bullions, bevels and other glass. A large range of sandblasting equipment, accessories and spares and materials. Studio sandblast systems and accessories, and materials. Agents for Guyson’s sandblasting equipment. Supply list and mail order service available. Online sales. Agents for Guyson’s sandblasting equipment. Optically clear, waterproof and Conloc compound silicon adhesives. Phoenix General Purpose Sealant, containing fungicide, ideally suited for a wide range of applications ð available in 310 ml cartridges. Other silicones available. Grade C and Grade K blowpipe solders for all stained glass applications. Minimum order 1 kg, quantity discounts available. 50/50 tin/lead and lead-free solder, flux and tallow. Supply list and mail order service available. Online sales. A range of tin/lead blowpipe solders for stained glass. 40/60 and 50/50 solder, flux and tallow. Supply list and mail order service available. Online sales. Weller range of irons and replacement tips, and soldering accessories. Weller 75 W, 100 W and 200 W irons, also gas irons and Inland Instaheat irons. Soldering iron stands and accessories. Weller 75 W irons. Supply list and mail order service available. Online sales. A range of Weller soldering irons. Weller soldering irons and stands, solder, tallow and other fluxes; mail order and online ordering available. An extensive range of tools for architectural glass site work: TT/ Firesharp chisels, hand tools, mastics, mortar, raking sets, diamond blades, etc. Tallow and other fluxes. Supply list and mail order service available. Online sales. Tallow and Super Clear flux; mail order and online ordering available. Cutters, soldering irons and glazing tools. Cutters, kilns, sundry tools and accessories. A wide range of kilns, tools and accessories. A wide range of glass machinery and tools, including bevelling, drilling and grinding equipment. Harbro offer an extensive range of tools for all aspects of architectural glass site work: TT/ Firesharp chisels, hand tools, mastics, mortar raking sets diamond blades etc. Glass cutters, KStar super cutters, cutting tools, lead and foiling tools and new mosaic cutters, etc. A large range including glass cutters, knives, horseshoe nails, brushes, soldering irons, pliers, grinders, kilns, fusing equipment, etc. Supply list and mail order service available. Online sales. Glass cutters, set squares, knives, horseshoe nails, brushes, soldering irons [gas and electric], pliers, grinders, kilns, fusing equipment, etc. A range of tools including soldering irons and stands, cutting tools, pliers, brushes etc, and kilns; mail order and online ordering available. Hand and power tools inc. cutters, pliers and grinders. Bronzed bars, stainless steel guards and casements. 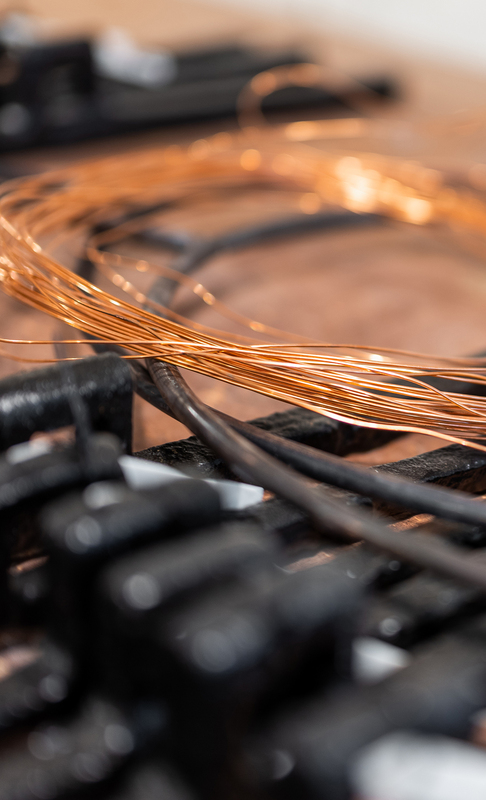 All wireworks in steel and stainless steel, also plastic coated and galvanized wirework. Window protection grilles and polycarbonate screens. Conservation and restoration of wrought and cast iron; wire window guards handcrafted to any profile in highest specification stainless steel and isothermal glazing frames for the protection of stained glass. Countrywide service for patterns, manufacture, installation. Quotations free. Family firm making shaped stainless steel and galvanized grilles manufactured to specification, also internal decorative mesh.